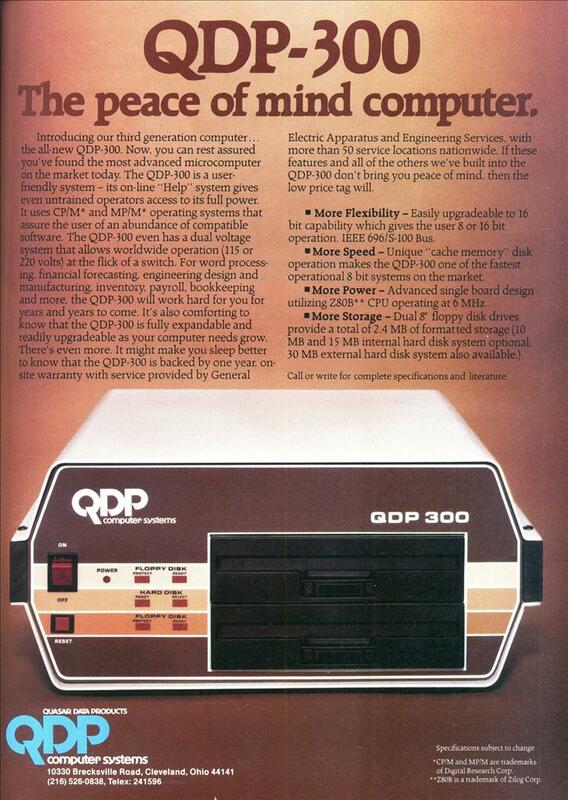 Introducing our third generation computer… the all-new QDP-300. Now, you can rest assured you’ve found the most advanced microcomputer on the market today The QDP-300 is a user-friendly system – its on-line “Help” system gives even untrained operators access to its full power. 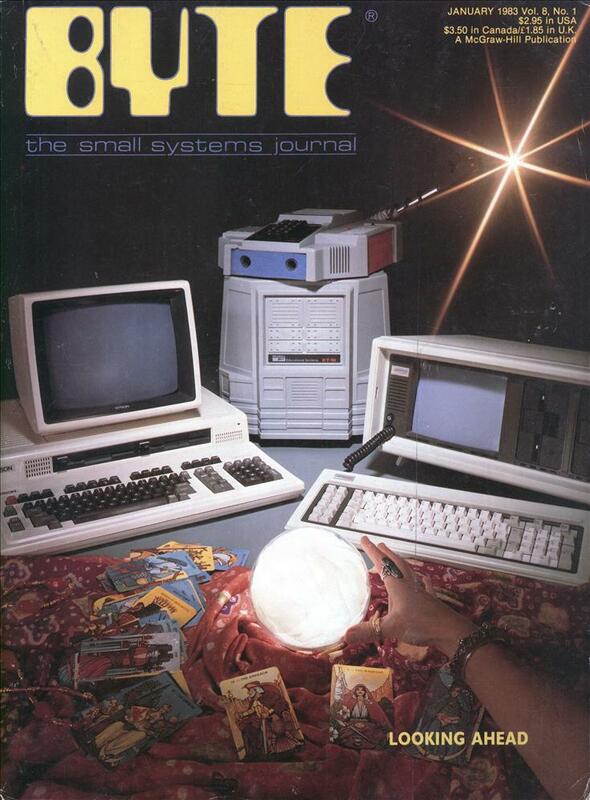 It uses CP/M* and MP/M* operating systems that assure the user of an abundance of compatible software. The QDP-300 even has a dual voltage system that allows worldwide operation (115 or 220 volts) at the flick of a switch. For word processing, financial forecasting, engineering design and manufacturing, inventory, payroll, bookkeeping and more, the QDP-300 will work hard for you for years and years to come. It’s also comforting to know that the QDP-300 is fully expandable and readily upgradeable as your computer needs grow There’s even more. It might make you sleep better to know that the QDP-300 is backed by one year, on site warranty with service provided by General Electric Apparatus and Engineering Services, with more than 50 service locations nationwide. If these features and all of the others we’ve built into the QDP-300 don’t bring you peace of mind, then the low price tag will. * More Flexibility – Easily upgradeable to 16 bit capability which gives the user 8 or 16 bit operation. IEEE 696/S-100 Bus. * More Speed – Unique “cache memory” disk operation makes the QDP-300 one of the fastest operational 8 bit systems on the market. * More Power – Advanced single board design utilizing Z80B** CPU operating at 6 MHz. Call or write for complete specifications and literature. *CP/M and MP/M are trademarks of Digital Research Corp.
* ‘Z80B is a trademark of Zilog Corp.
30 mb, can you even get you storage that small any more? Wonder how much storage we’ll have 30 years from now. Hirudinea » The only thing I can think of is a new 8 core Intel Sandy Bridge Xeon processor, it comes with 20MB of cache on the freaking die. Most micro-controller systems have less storage than that, but it has been 15 years since I programed those things.